The "Fractal Series" Mural in Dorrill Dining Hall at Longwood University is complete. 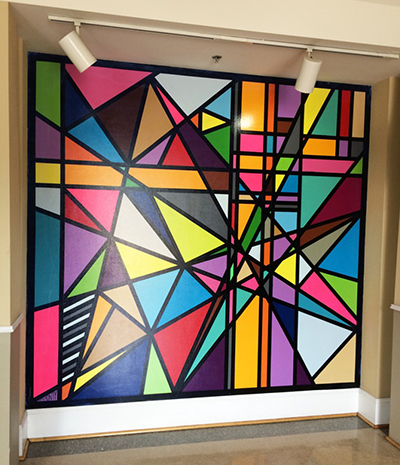 I decided to make a few color changes on the Mural in Dorrill Dining Hall at Longwood University but it is now complete. It has been all sealed up with gloss and signed. Stroll through the main entrance from Brock Commons to see the completed work. Thanks to Grant Avent and all of the Longwood University Team for bringing this project to life!